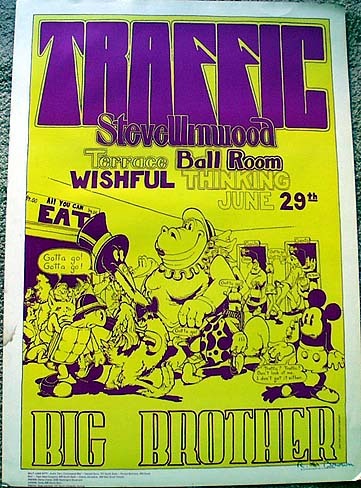 TRAFFIC / STEVE WINWOOD - Rare Concert Posters of the 60's and 70's - PosterGeist! STEVE WINWOOD / ROLL WITH IT 1988 Promotional items from Virgin Records America. 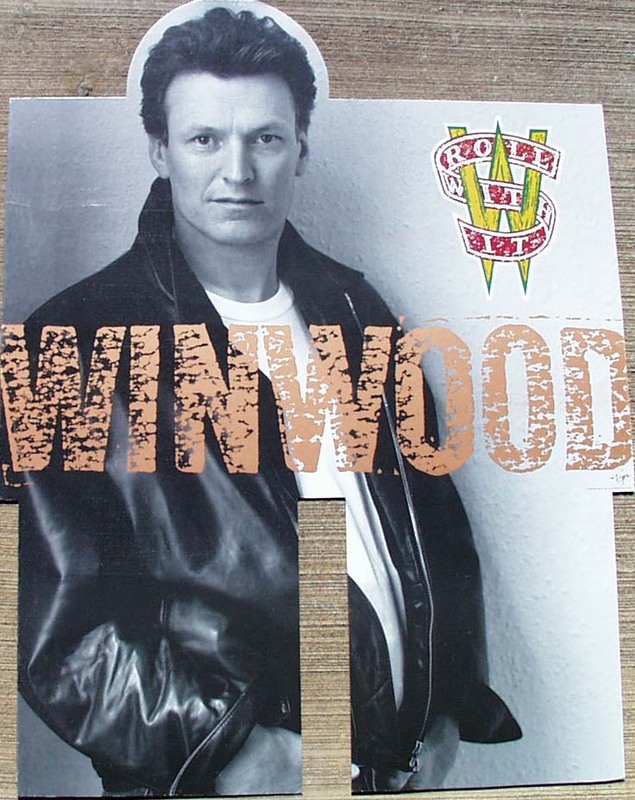 Item #1 / Large thick window card display features front on photo of Steve with leather jacket (black and white) and color "Roll with It" symbol at upper right corner along with copper colored "WINWOOD" lettering across the photo. Has vertical die cut clot to fit on record rack. Beautiful B+ shape. 55.00 plus 25.00 shipping (assuming I can package this for the post office and still fit the dimensions regulations). Item #2 / I have a few promotional posters of the same design on thin promo stock. Inquire for details. 40.00 each plus 15.00 Priority Mail / Insurance / strong tube / etc.